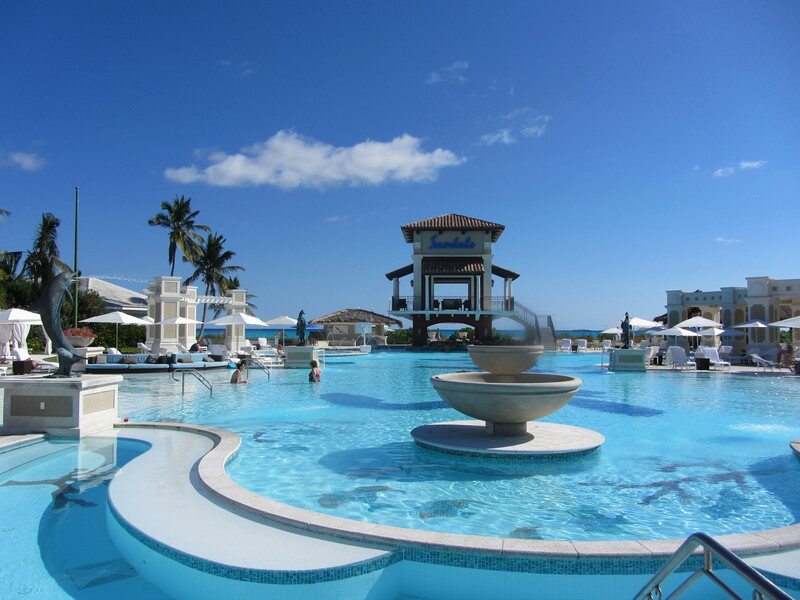 We honeymooned at the Sandals Emerald Bay Resort in the Bahamas in January of 2012. We spent 9 days at the resort. It was a difficult decision for us. We knew we wanted a relaxing trip in a tropical location. In the end, we decided on Sandals because it met those expectations and it was all-inclusive. Relaxing by the pool for days on end! I wouldn’t travel as far — it took us a day to get there and a day to get back. I think there are tropical locations closer to us! 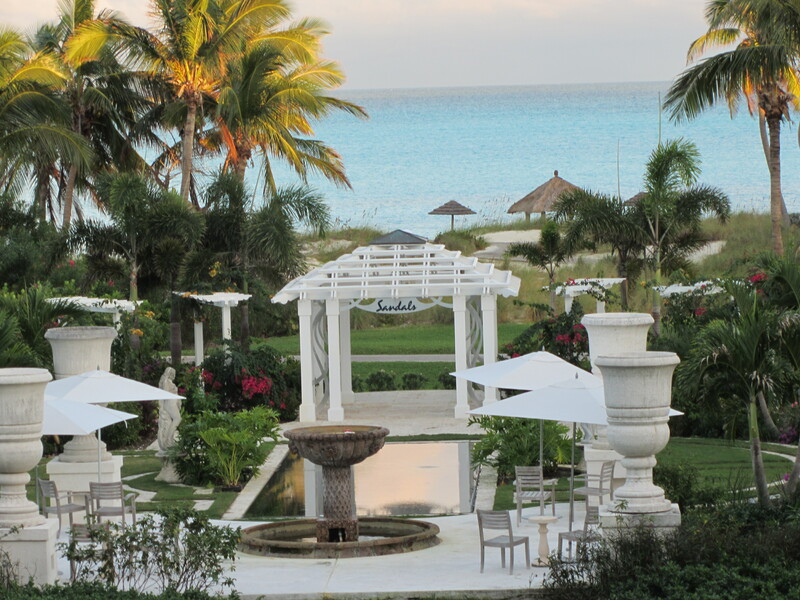 Sandals made it very simple — one booking and everything was taken care of. 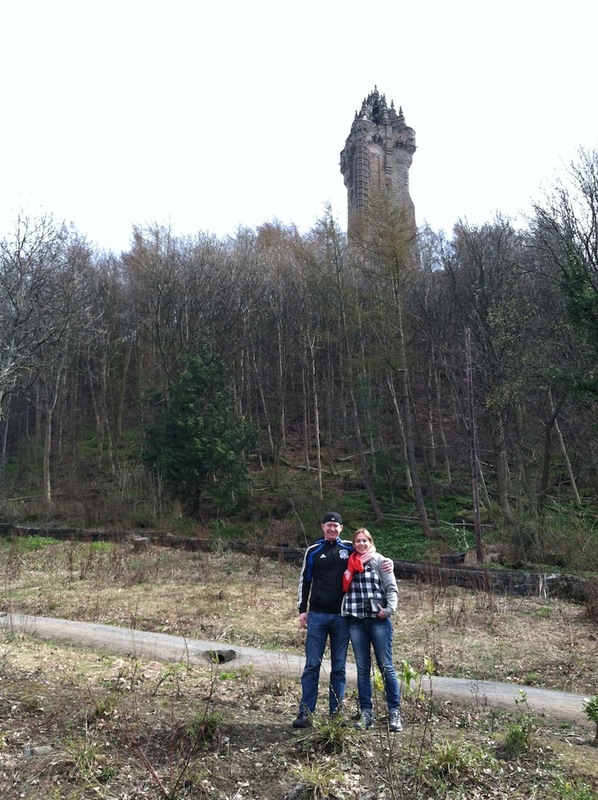 Mike and I went to Scotland and Northern England [in April 2013]. 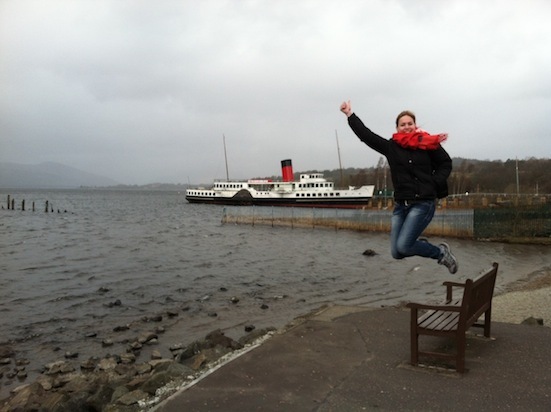 We stayed in three locations: Edinburgh, Newcastle and Loch Lomond. 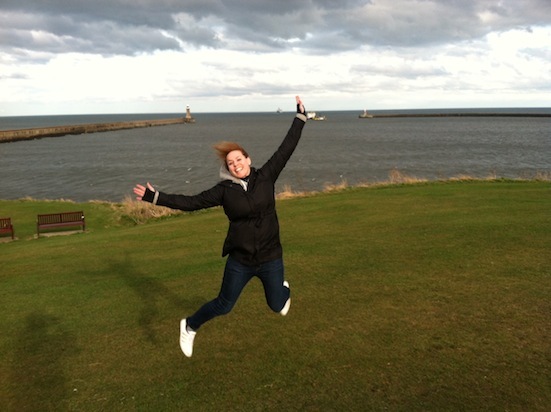 The number one question we got on our honeymoon was: why did you choose Scotland and Newcastle? So you would think I have a good, practiced answer for this, but alas no. Here is my best shot at it. We are homebodies and not adventurous. 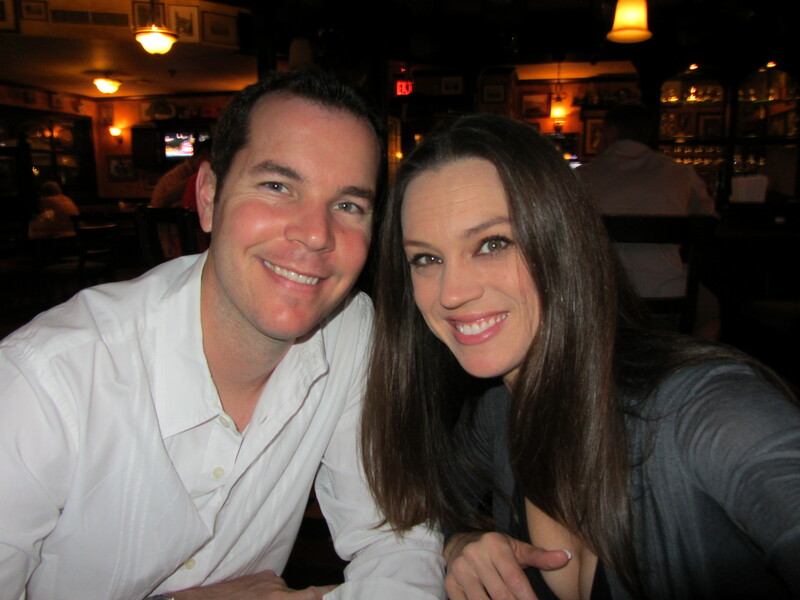 This was our first big trip alone together, and we have been together for over 10 years. We wanted to have an adventure, but not too big an adventure. 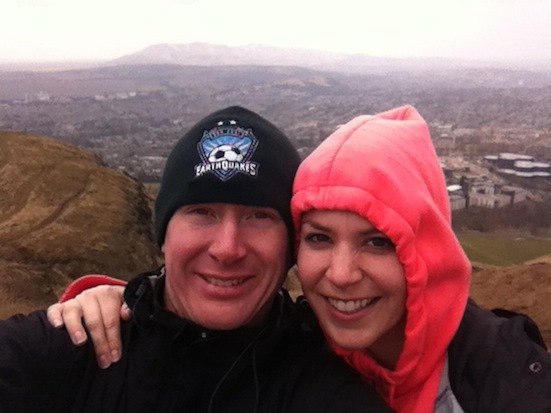 We have always wanted to visit Scotland, and I am English/Scottish. 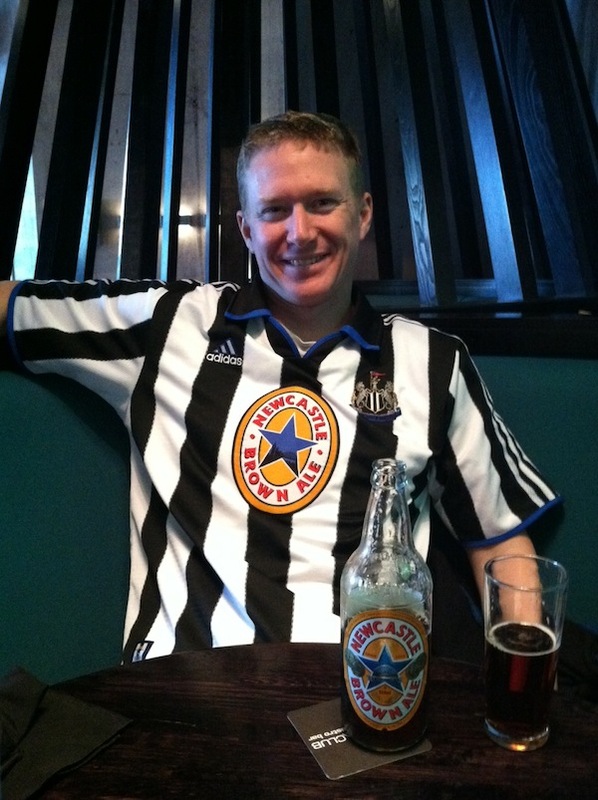 Mike is also a HUGE soccer fan and Newcastle United is his favorite team. It was the perfect opportunity to make his dreams come true and see Newcastle United play their local rival, Sunderland. Getting to spend so much quality one-on-one time together. I work long hours and we don’t vacation much, so this was a really special experience for us. 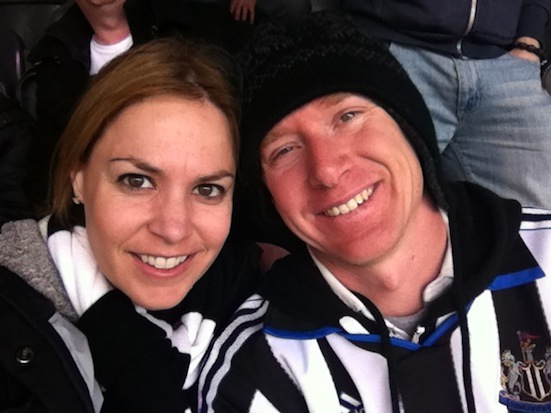 And of course the Newcastle United game. Don’t rent a car from the Hertz in Newcastle. Otherwise, I can’t think of anything we would have done differently. We booked the hotels in advance and Mike spent a lot of time researching different things for us to do. We did not have each day pre-planned out, but we always had options to pick from. We left the Monday after the wedding and our first stop was Hong Kong. 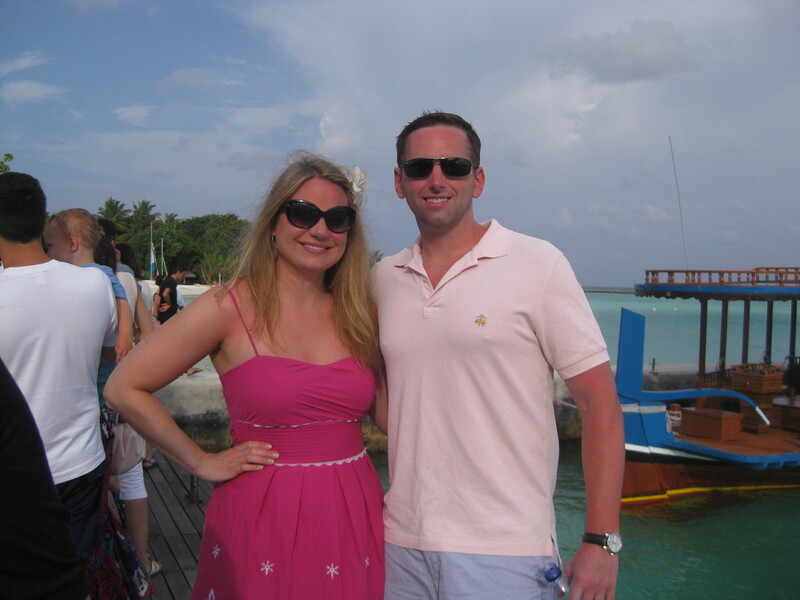 We were in Hong Kong for two days before trekking to the Maldives. We were in the Maldives for 10 days and on the way back to the U.S.A. we stopped in Tokyo for a day. Look familiar? Seema and Tommy took the same photo! Your honeymoon is your one chance to do it big. When else in your life are given cart blanche to take multiple weeks off work and spend money like you are rockstars? 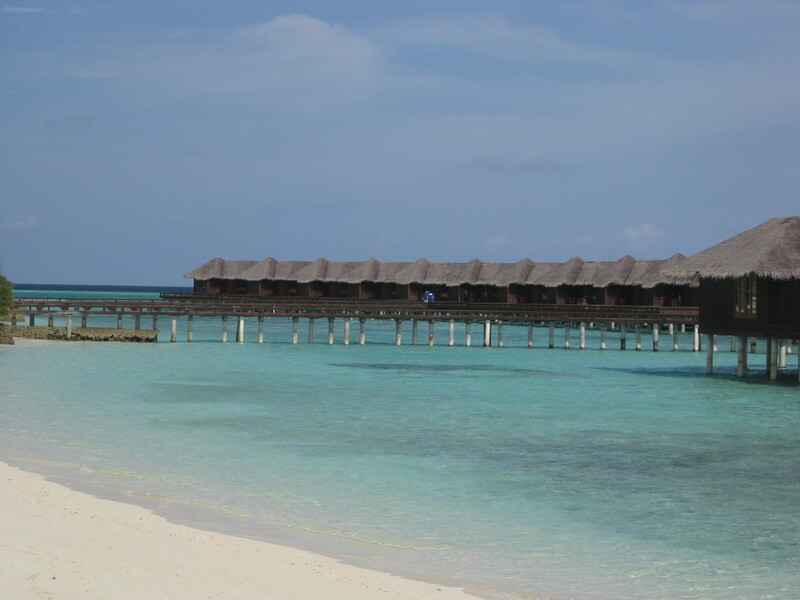 It has been a dream of mine to stay in an over-water bungalow, and there are only a few places in the world that have those, one being the Maldives, the exotic and remote honeymoon were looking for! After deciding on the main attraction, we needed to determine which route to take. We wanted to make a stop on the way there and back for two reasons: 1) To break up the 36 hour journey and 2) If we are going half way around the world, we might as well make the most of it. Since we have both been to Europe several times, we decided to take the Asia route. We decided to visit China on the way there (Hong Kong) and Japan on the way home (Tokyo). Our resort in the Maldives. I can officially say that I have stayed on a private island. 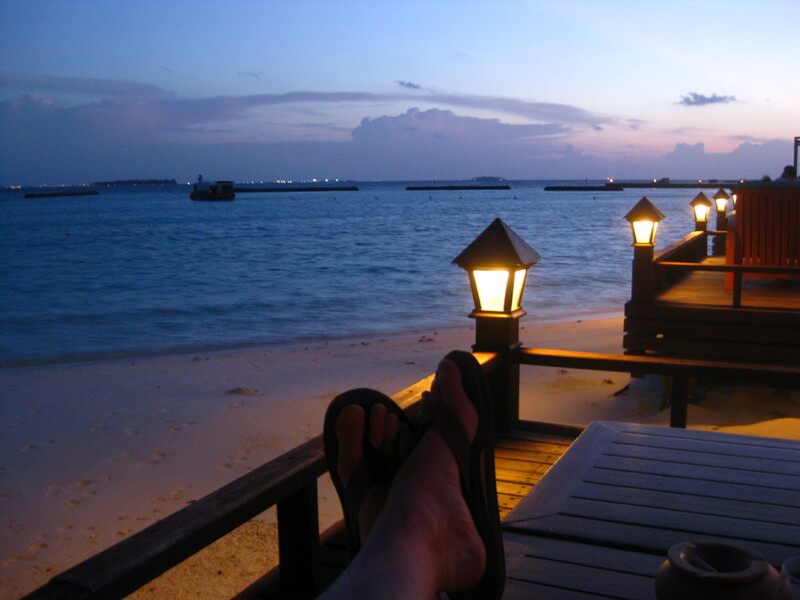 For the first five nights we stayed in an over-water bungalow, a dream come true. While sleeping you can hear the Indian Ocean lapping underneath you. During the day, we would hang out on our deck and whenever we wanted, we would just walk down the deck stairs and we would be knee-deep in the Indian Ocean. We could go snorkeling, swimming or just float in the 80 degree water. 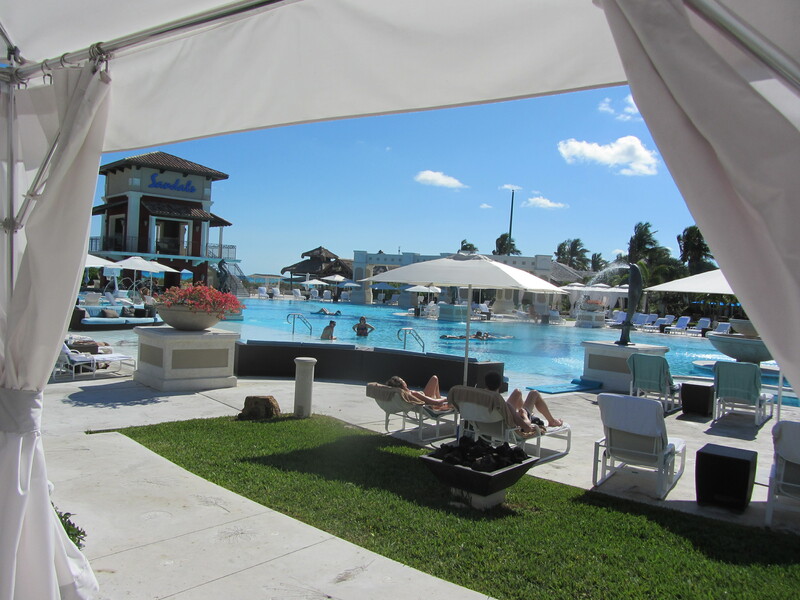 It was heaven, we almost did not want to switch to our second room, but we are glad we did. For the second five nights we had our own private villa with our own private infinity pool. Privacy walls surrounded the villa so every morning when we woke up all we could see was our pool and the Indian Ocean. We spent our days lounging on our patio and when the 90 degree sun got too intense, we could cool off in our own private pool! We also did several activities while at the resort. We had a spa day, we did two snorkeling trips and we went on a sunset dolphin watching cruise. 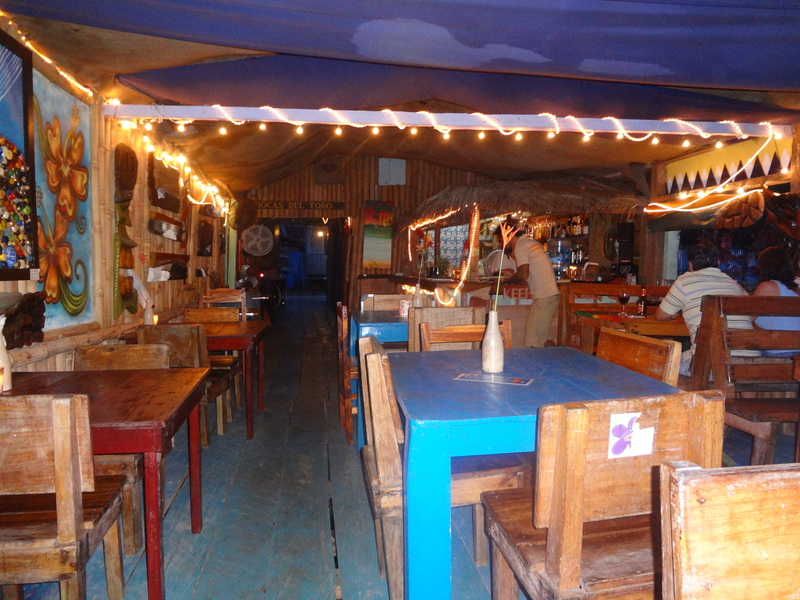 Every night we would get drinks on the beach and go to one of the six restaurants on the island. In contrast to the couple Mexican vacations that Curtis and I have taken together, this vacation was heavier on the relaxation and lighter on the tequila. I would have packed more casual clothes. 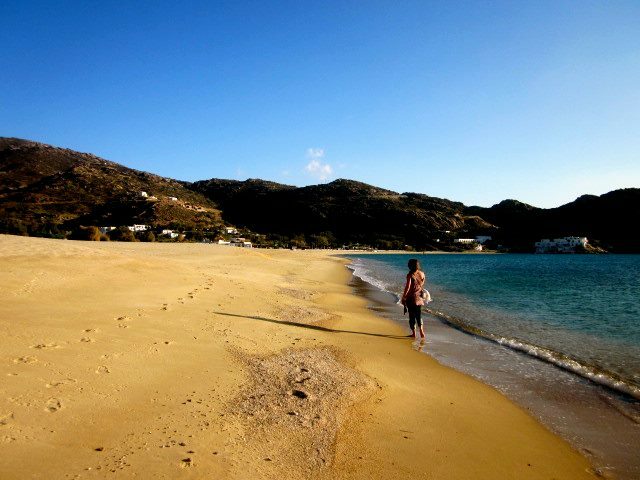 Since it was my honeymoon, I packed cute dresses and heels for dinner every night; however, the paths through the island were sand and the one night I wore heels, I ended up walking home barefoot. Most people wore casual sundresses and flip-flops, and I wish I packed more outfits like that. During the day, we only wore bathing suits and cover-ups. It’s been just about a week since we returned from our trip to Panama, and my husband and I are still pretty excited about it. 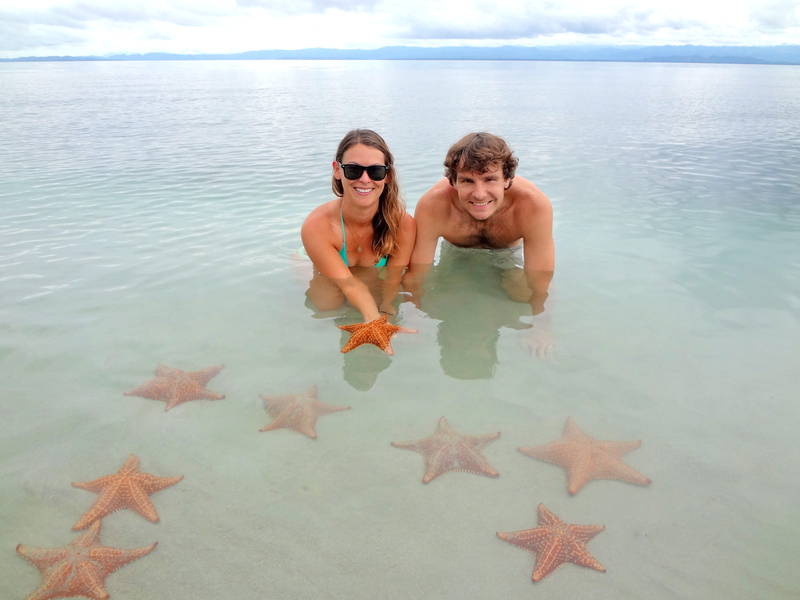 Even though we were only there for four nights, it was a great little trip for us to get some sun and take a breather from “real life.” We had a fantastic time, but I do need to preface this post by saying that I would not recommend Bocas del Toro, Panama for a honeymoon… quite yet. Maybe check back with me in 5-10 years or so. The area is gaining lots of popularity with tourists, but it doesn’t currently have the element of travel luxury that most honeymooners would want. In other words, it’s full of backpackers and baby boomer expats. That being said, many travel writers have claimed that Panama is “the next Costa Rica” so I have high hopes that Panama will be a great honeymoon destination in the near future. But for those of you who are interested in taking a non-honeymoon trip that isn’t incredibly mainstream yet, Panama would work well for you. A couple of things to mention straight off the bat: the U.S. dollar is their main currency but they do have their own coins, only tourists wear Panama Hats (and they are actually from Ecuador, not Panama), and despite what our tour guide told us, there ARE earthquakes in Panama because a 5.6 one woke us up one night. 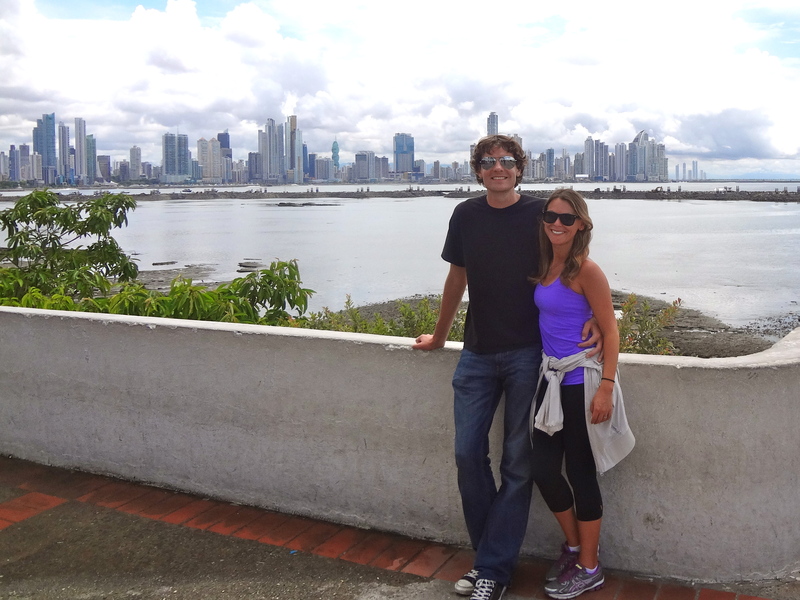 We took a red-eye flight from LA, and woke up in Panama City six hours later. Since we had a seven hour layover there and wanted to see as much of the city as possible, we made arrangements in advance to have a private tour through My Friend Mario. “Mario 2” picked us up from the airport (he claimed that all of their guides are named Mario) and took us everywhere: the Old Panama Ruins, the new city, the colonial area, the fish market ($3 ceviche – YUM! 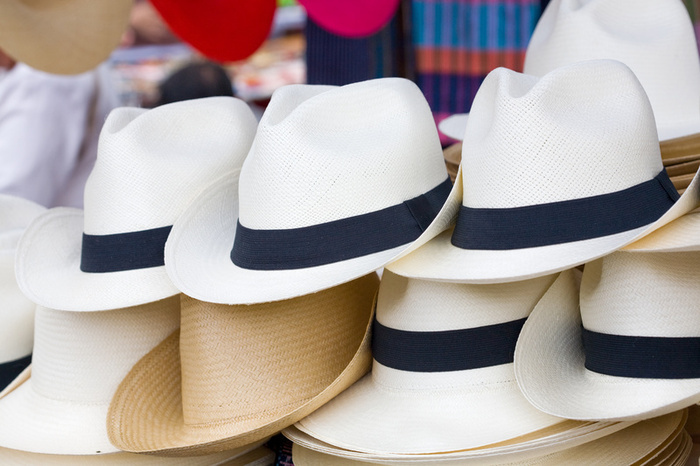 ), the Coastway, the fruit market, Ancon Hill, and finally to the Panama Canal. Although that sounds like a lot to do after a red-eye, the city isn’t too spread out and it was great to be chauffeured around in an air conditioned car. 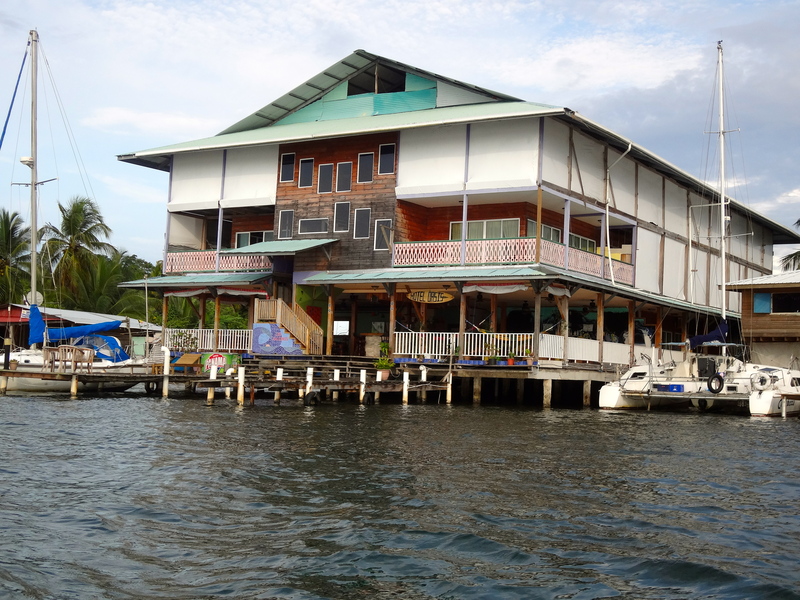 After that whirlwind tour of Panama City, we took a quick 45 minute flight to Bocas del Toro and then a two minute water taxi to our hotel on Isla Careneros. 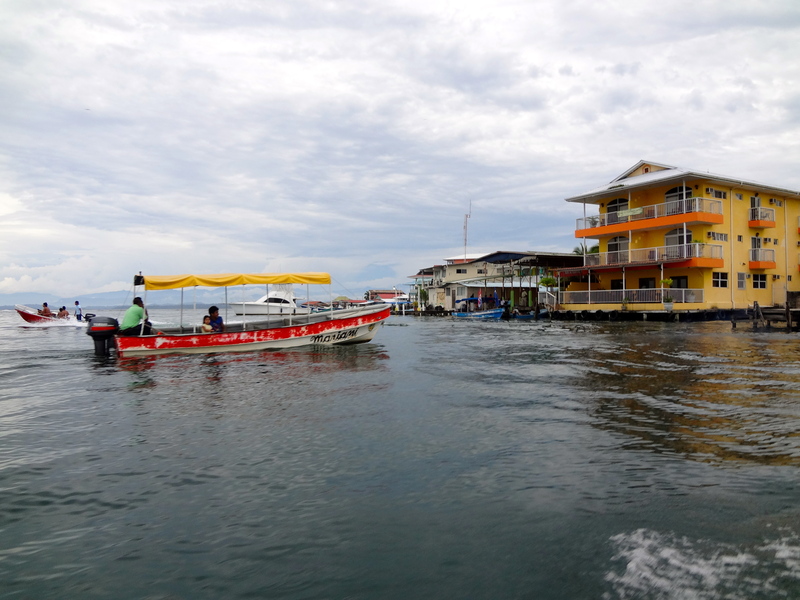 (Pro tip: if you go to Bocas del Toro, water taxis between Bocas Town and Isla Careneros are $1 per person. Don’t ask how much, just give them the money. If you ask, they’ll charge you 5x more.) Despite being only $60 a night, our hotel was highly rated on Tripadvisor so we gave it a shot. 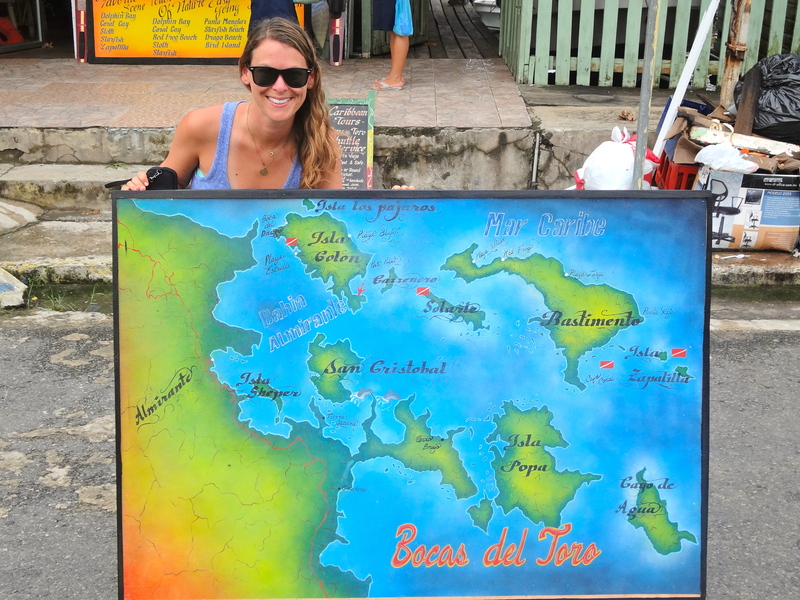 Day 1: Sleep in, take a water taxi to Bocas Town, then catch the noon bus to Boca del Drago. You can also rent bikes and ride there from Bocas Town, but our hotel owner talked us out of it. 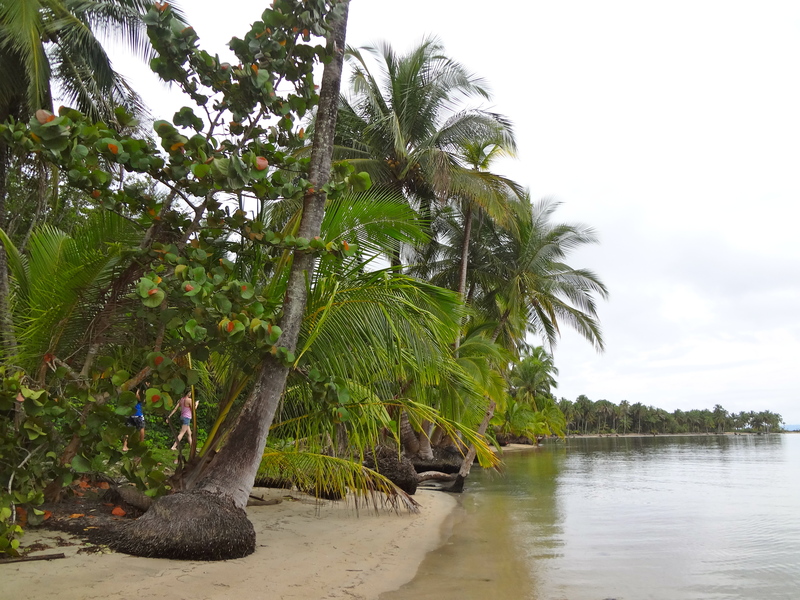 Later on when we met a Danish guy who rode his bicycle to Bocas from LOS ANGELES (!!!! 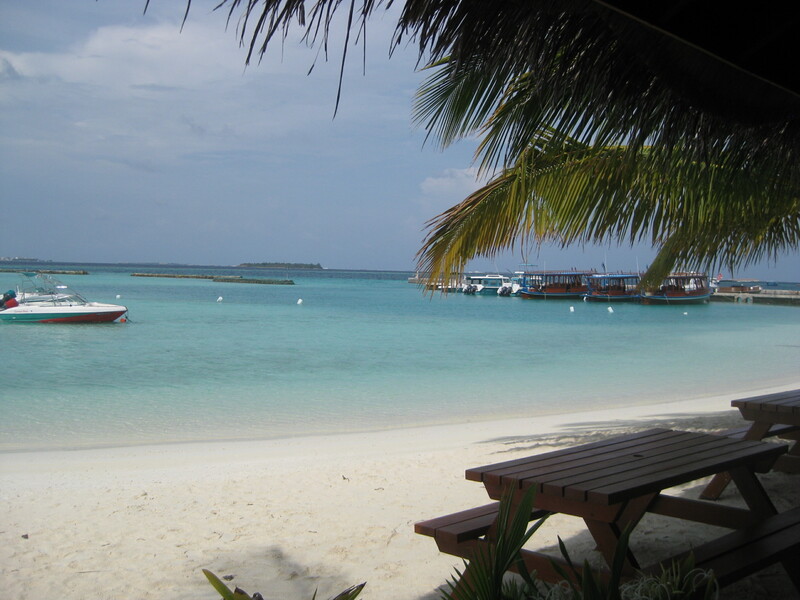 ), we felt like the laziest people alive since we thought riding bikes across one little island would be too tough. Anyway, from Boca del Drago you can take a beautiful walk 20 minute walk or take a water taxi to Playa Estrella – a beach area that’s full of massive red and orange starfish. (Pro tip: don’t go barefoot – there’s something in the sand over there that feels like sharp little glass splinters. My feet felt better by the end of the day though, and Aaron didn’t feel anything at all because his feet are basically two massive callouses.) When you get back to town, go back to Isla Careneros to freshen up and get dinner at Bibi’s on the Beach to watch the manta rays swim in the water beneath you. Before you go to sleep, ask your hotel owner to book “the boat tour” for the next day. 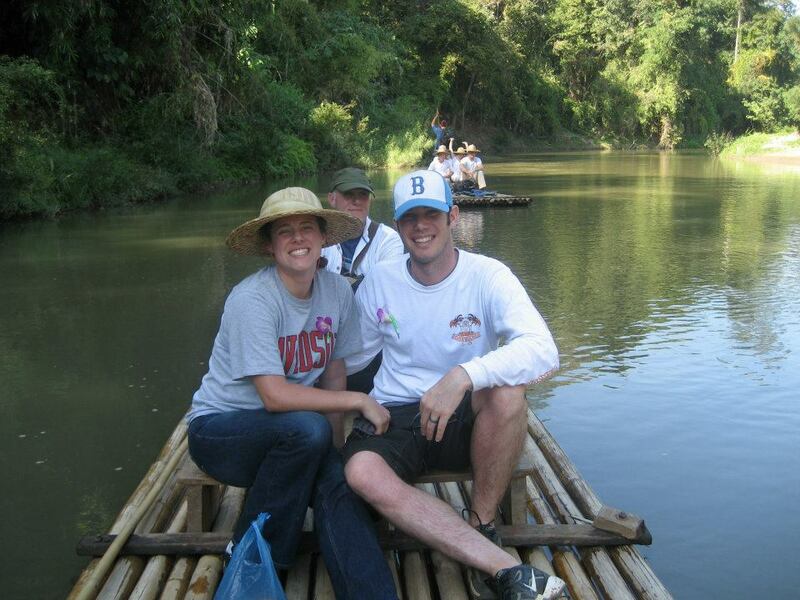 We went to Thailand for our honeymoon in mid-December 2011. 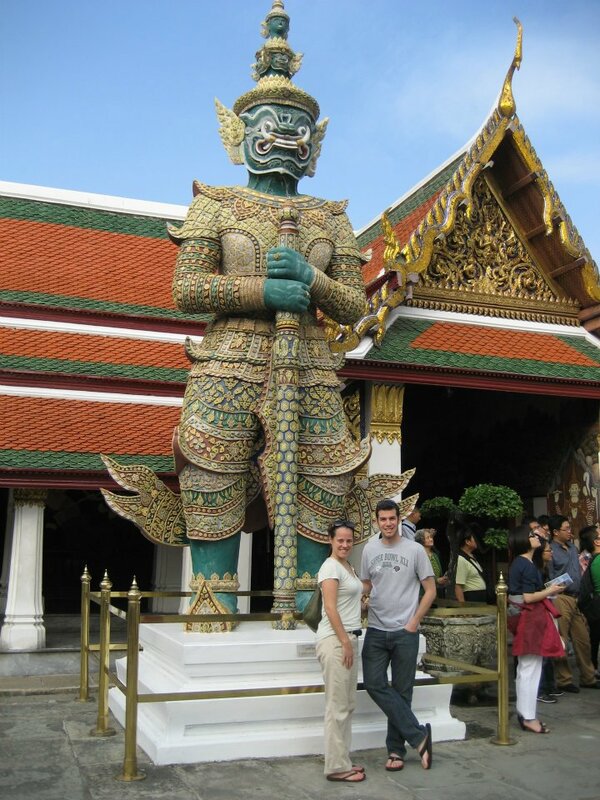 We spent a few days in Bangkok, 5 days in Ko Samui and 4 days in Chiang Mai. In total, we were gone about 12 days, from December 12-24. 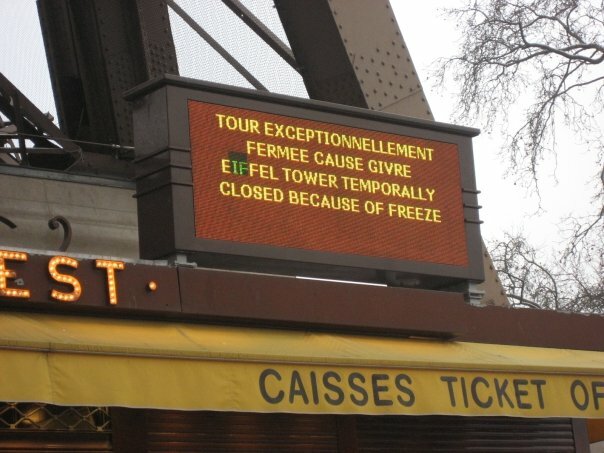 First and foremost, we were looking for a warm location. Getting married in December, we wanted to spend some time in warm weather, relaxing on the beach. We also wanted to go somewhere new, a location that neither of us had visited before. That criteria led us to consider South America, southern Africa, and Southeast Asia. We quickly focused our efforts on South American and Southeast Asia, eliminating southern Africa. After speaking with friends and family, and doing research online, we narrowed our choices down to 3 spots: Costa Rica, Brazil, and Thailand. Ultimately, we selected Thailand because we felt like we would easily be able to do a short trip to either Costa Rica or Brazil later in life, but it would be hard to do the same for Thailand. The greater distance appealed to us as we saw it as a rare experience that would be perfect for our honeymoon. The food was probably the best part of our honeymoon. From the street food in Bangkok, to the seafood on the beach in Samui, to a cooking class we took in Chiang Mai, we loved all of the food we ate. Some of the highlights include fresh pineapple all throughout Bangkok, and a cooking class on traditional Northern Thai food in Chiang Mai where we learned to cook dishes like Khoa Soy. 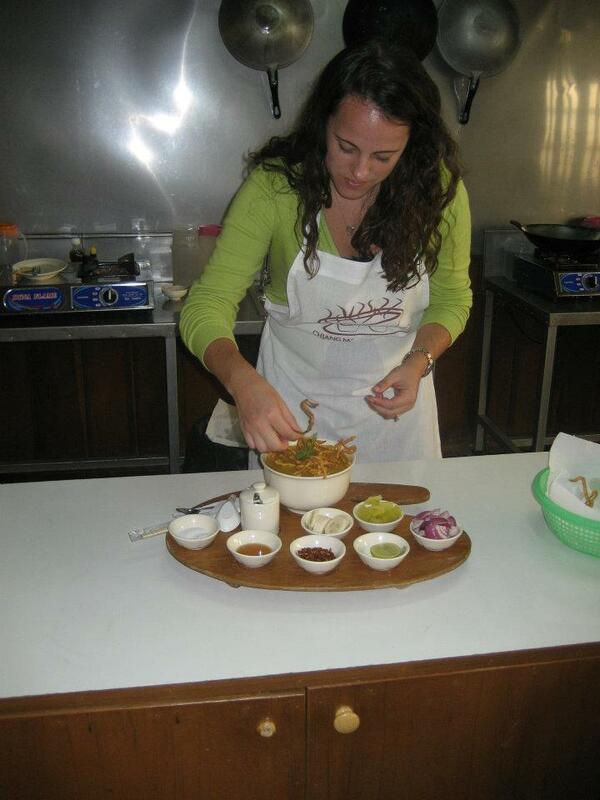 Cooking class in Chiang Mai – yum!!! I would have spent less time in Bangkok and more time in Samui. Relaxing on the beach was great, especially after the hectic schedule we had in the months leading up to the wedding with school, work, and planning. We could have used a few more days on the beach relaxing and less time in the busy capital. 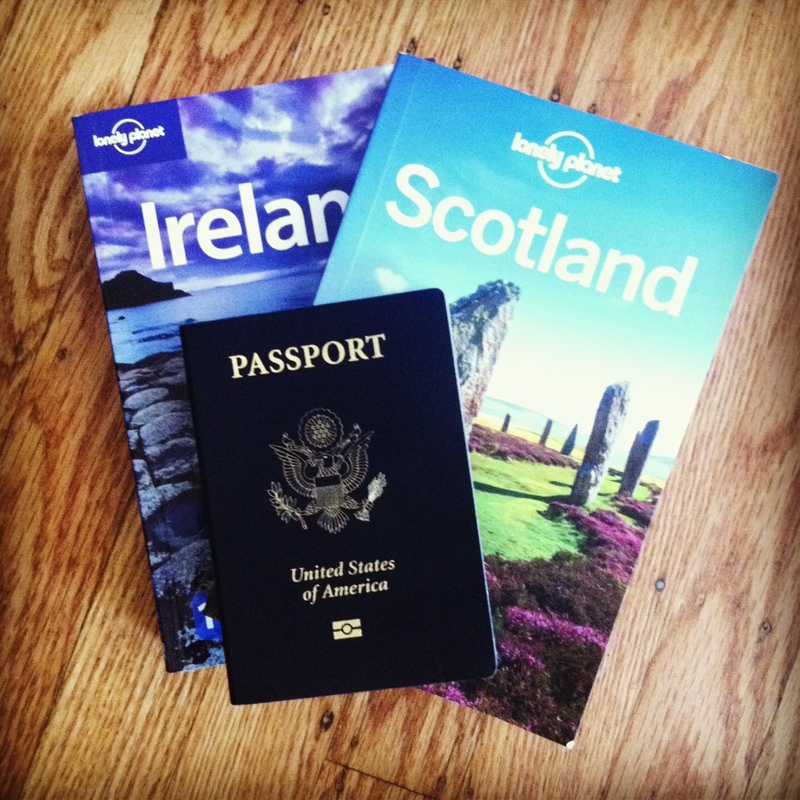 We worked with a travel agent to plan the specifics of our trip. We picked the cities we wanted to visit and told her a few of the types of activities we enjoyed, and she was helpful in selecting hotels, arranging for private transportation and providing us with options for a few activities. We read numerous different travel books to help figure out what we wanted to do in each location, as well as talking to a few friends who had either vacationed in Thailand, or who had lived there. Overall we did a fare amount of planning to determine where we wanted to go, but left a lot of gaps in our plans for us to explore and be spontaneous.